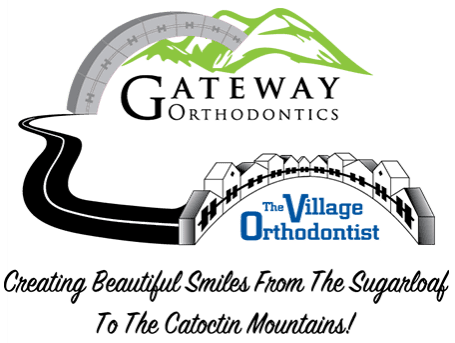 At The Village Orthodontist, we want our patients’ orthodontic treatment to be as efficient and convenient as possible. Whether you’re looking for an experienced children’s orthodontist, or want to improve your own smile with adult orthodontics, Dr. Moles and his experienced team will go above and beyond your expectations. We’re proud to service patients in Frederick County, Urbana and surrounding areas, while offering a variety of treatment options to fit your needs and lifestyle. Our office offers some of the most advanced orthodontics around, as we want to provide our patients with the very best orthodontic care possible. We’re very pleased to offer the PROPEL Accelerated Orthodontics, which helps patients wearing conventional braces and Invisalign aligners expedite their treatment. Instead of relying solely on braces, aligners or other orthodontic appliances to exert pressure on the teeth to prompt them to move, we utilize the innovative PROPEL system to stimulate jaw bone growth. By tapping into the patient’s own biology, we can stimulate the bone around the teeth to move, leading to faster tooth movement than what is traditionally possible with regular braces or aligners alone. With PROPEL, the amount of time spent wearing orthodontic appliances can be cut in half, which means less time spent achieving your ideal smile and fewer routine visits to our office. Using a sterile, disposable one-time-use PROPEL device, Dr. Moles creates small, micro-pierces into the jawbone, near each tooth in which advanced movement is desired. With the adjustable depth dial on the device, he can precisely control how deep the small surgical steel tip penetrates. The device is ergonomically designed to provide Dr. Moles with great control, resulting in a virtually painless procedure. The next question you may have is “how long does it take?” It only takes five minutes to perform the procedure, which is a tiny time investment for getting a beautiful smile quicker than ever. The PROPEL system will help your teeth shift faster and the tissues heal rapidly, to provide you with the most effective and efficient orthodontic treatment possible. PROPEL works great for adults, who want to complete treatment as soon as possible, as well as for teenagers, whose bone growth is still active. In just a few minutes, Dr. Moles can complete the PROPEL procedure in our office, while you experience very little discomfort. There is no recovery time and once your visit is over, you can return to your normal daily routine immediately. If you have any questions about PROPEL or our other orthodontic treatment options, please call our Frederick office at (301) 874-4747. You can also complete our online appointment request form. Once Dr. Moles completes a thorough examination, he will discuss his findings with you along with his proposed treatment. During this discussion, Dr. Moles will let you know if PROPEL is a treatment option that’s right for you. We look forward to seeing you soon and helping you achieve your ideal smile.